The London Boroughs of Newham and Havering are unitary local authorities providing services to a combined population of circa 600,000 residents. In 2014, a shared service partnership, oneSource, was formed between the two authorities. It is currently the largest public sector shared service in London and one of the largest in the country. We were first introduced to oneSource by our partners Microsoft. OneSource were looking to improve their Disaster Recovery and Business Continuity solution whilst reducing the load on their onsite storage. They were keen to gain an independent review and business case for cloud technologies that would align to these strategic aims, both in the short term, but more importantly, in the long term. They wanted to reduce the risks inherent in the current architecture which relies to a large degree on hardware that is approaching end of life. They also wanted to understand what the possibilities were in relation to their website, business continuity, apps, infrastructure, service management, end user collaboration and desktop services. We were able to offer a detailed review of all the technical and commercial options available and presented a range a solutions that met their needs whilst accounting for the security and data governance aspect needed for Local Government. • A rapid view of how cloud technologies could provide the most benefit to their organisation – identifying the areas where they could best exploit cloud, meeting their strategic aims and overcoming tactical challenges. 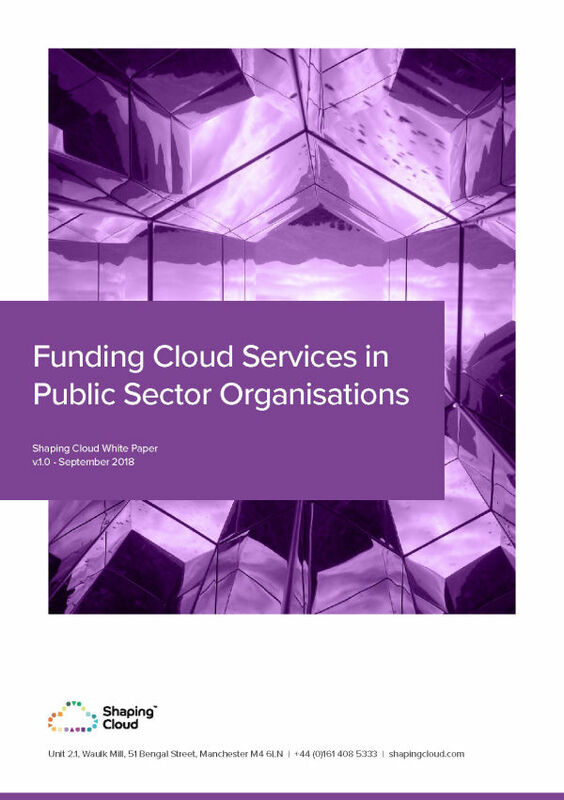 • A high-level business case that supported their strategic thinking – helping them understand the benefits of cloud and positioning it with other senior executives and stakeholders. We were able to enhance oneSource’s understanding of cloud and how it could benefit them by going through our two phases of discovery. Firstly, before visiting them on site, we supplied a set of templates for the team at oneSource to complete and then using that information we were able to conduct further interviews on site with stakeholders. We were then able to analyse that information and create a high level business case for cloud, supported by an executive summary which was delivered by one of our senior consultants. This was followed by a Q and A where the findings and recommendations were discussed. This process helped Newham & Havering determine the case for future investment of time and resources, including StorSimple and ExpressRoute, and lead to them signing off on a full discovery piece with the view to working with ourselves to deliver a full future state infrastructure. Shaping Cloud provided me with a high quality decision making framework and business case to support my cloud migration aspirations within a 2-week time frame and at an affordable price. The team demonstrated a great understanding of our current infrastructure and how Microsoft Azure could be leveraged across a number of key initiatives.